OPPO is all set to launch its next F series smartphone — the OPPO F11 Pro — in India soon. The brand took to Twitter to tease the launching its upcoming mid-range offering. Notably, the smartphone has been in the rumours a lot recently, with the latest one revealing that the phone has got certification from three regulatory authorities across the globe under the model number CPH1969. The teaser reveals that the OPPO F11 Pro will come with a 48-megapixel camera on the back, which confirms our exclusive report from last week. The teaser also highlights the low-light capabilities, which suggests that the phone come with AI-enabled Super Night Mode. Sadly, the promo doesn’t give any other information, even though it does tease the design of the handset. As per the render obtained by us, the smartphone will feature a full-screen fascia with a sizeable chin. Our sources have also informed that the F11 Pro will flaunt a self-elevating mechanism for the selfie camera, which has a 32MP resolution. At the rear, the F11 Pro can be seen sporting dual rear cameras, which suggests that a depth sensor would be accompanying the primary 48MP shooter. As far as the specs are concerned, OPPO’s forthcoming handset is likely to come with a high-end MediaTek SoC backed by 6GB RAM and 128GB of user-expandable storage. 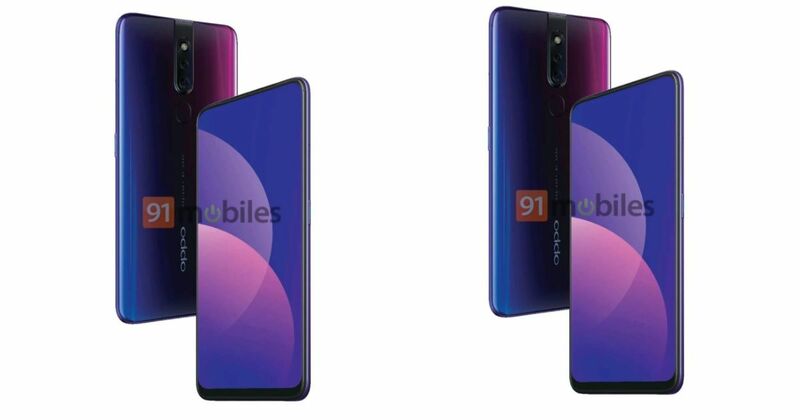 While the launch date has not been revealed by the company, the OPPO F11 Pro is expected to be announced towards the beginning of March. As for the pricing, the rumours suggest that the phone will come with a sub-Rs 25,000 price tag.